SOFIA, Bulgaria (BulgarianMilitary.com) – The Bulgarian Navy project proposal for developing deployable modular underwater intervention capability package (DIVEPACK project) is among the 17 new projects under the permanent structured cooperation (PESCO) defence pact that the EU defence and foreign ministers agreed on, during their joint session in Brussels, on Monday (19 November), learned BulgarianMilitary.com. 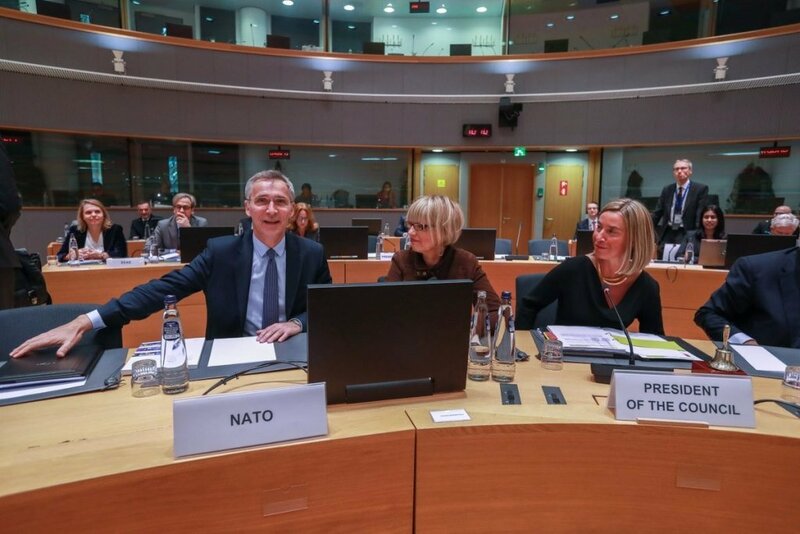 As the Bulgarian Ministry of Defence reported earlier, the Bulgarian proposal, part of the second batch PESCO projects, was planned for approval at that meeting, which was attended and by the Bulgarian Deputy Minister of Defence Atanas Zapryanov. The DIVEPACK project has been developed by the Bulgarian Navy and it is evaluated as a priority for developing and strengthening EU’s defence capabilities. In it, Bulgaria has the role of a project coordinator and Greece, France, Italy and Poland joined as observers. The aim of the Bulgarian Navy project is to be developed an interoperable specialized modular asset, which to provide the full spectrum of defensive underwater intervention operations in expeditionary setting, with the exception of missions and tasks of Special Operations forces. Under DIVEPACK, it will be provided a broad range of diving equipment and Unmanned Underwater Vehicles, which will be operated by qualified personnel, into one comprehensive capability package. The innovative concept as well as the tailorable open architecture “plug-and-play” will improve the capabilities for versatility and quick reaction. The DIVEPACK project can be used in a wide range of underwater scenarios, both at sea and in inland bodies of water, within the framework of the EU Common Security and Defence Policy (CSDP) missions and operations. Today, the commander of the Bulgarian Navy Rear Admiral Mitko Petev also confirmed the EU approval of the Bulgarian project, pointing out that its implementation will enable the Navy not only to carry out emergency response diving operations but also deep-sea operations up to 100 meters. The modular package is portable and it can be transported in containers, moreover, it can be delivered anywhere in the country within 24 hours, Petev explained further. The project activities include the training of the military personnel and the development of high technology, such as diving equipment for underwater intervention, whereby the diver’s biometric data can be monitored and controlled remotely. The deadline for the implementation of the project for the development of Deployable Modular Underwater Intervention Capability Package is two years.